The avocado madness has jumped the pond. And we’re ready to pack our bags to see how Europe ups the ante. The Avocado Show, dubbed “Europe’s first and finest avocado bar,” will open its doors in Amsterdam next month. According to the cafe’s Instagram, the eatery will serve breakfast all the way through late-night eating — and they’ll even deliver! Judging by the pics, these dishes look extra green and delicious. Some of the dishes that will be featured include avocado bun burgers, breaded avocado fries, chocolate and avocado smoothies and avocado ice cream. But that’s just the beginning: These avocado fanatics are constantly tinkering and discovering new ways to feature their star ingredient. The move to tackle all things avocado is a savvy venture. Mother Jones reported that in the past 15 years the U.S. alone has doubled its per-capita avocado consumption from two to four pounds per person. “Holy guacamole” is right! For those whose summer vacation plans don’t include Amsterdam, there are a few avocado-centric substitutes popping up around the U.S. — like The Avocado Cafe in Irvine, California, and Avocado Cafe & Juice Bar in San Antonio, Texas. Are you crazy for avocado? How do you like to eat it? 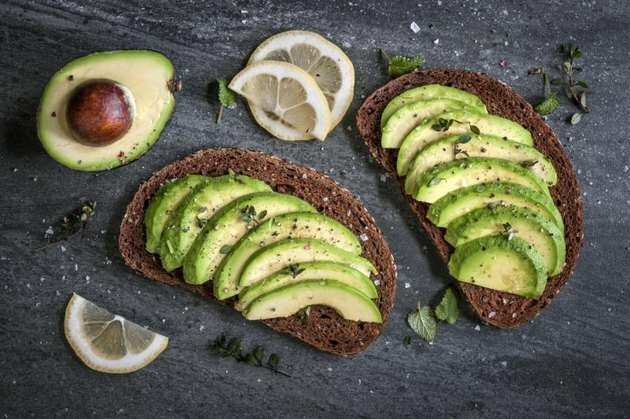 What do you think of the whole avocado toast trend? Tell us in the comments below.